Residential Treatment, Therapeutic School and Intensive Outpatient Programs for Teenagers. Pinnacle was founded in 2006 to fill the gaps in services for teens in our community. Once again, the founders have answered the call for an intensive outpatient program (IOP) for young people ages 13 - 18 who are in need of substance use and mental health services in the Huntsville area. Elk River Treatment Program is a therapeutic residential program that specializes in treating teens that are struggling with behaviors or mental health challenges that are unsafe and unmanageable at home. We accept boys and girls ages 12 to 18 from across the country. Our program provides a safe therapeutic setting with around-the-clock adult supervision. An individualized treatment plan is developed for each child and may include medication management. Elk River's Treatment Team is led by child and adolescent forensic psychiatrist and includes licensed mental health professionals with extensive backgrounds in attachment disorders and substance abuse. A year-round accredited education program is also provided for each child in treatment. Pinnacle’s credentialed and ex­perienced educators and support staff can customize a Profession­al Development Program for any size school district from training existing staff to developing an en­tire alternative school or private school program. Pinnacle has a proven record of developing and implementing programs that significantly im­proved drop-out rates, raised stu­dent GPAs by 43%, lowered disci­pline referrals by 41%, decreased truancy by 74% and raised grad­uation rates by 81%. Specialized behavioral programs are designed specifically for special educa­tion students with severe mental health issues. Pinnacle specializes in a blended curriculum model with differentiated instruction to provide academic and therapeutic services based on the individual needs of every student. To find out more about our professional development programs, complete the "Contact Me" form on this page and one of our advisers will contact you as soon as possible. You can also call our administrative office at 866-906-TEEN (8336). 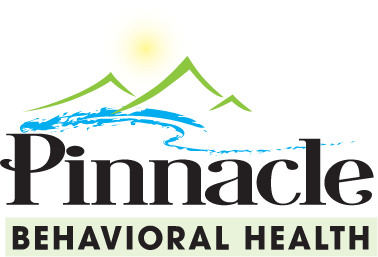 Pinnacle Private Academy provides an education program with comprehensive behavioral health services for students in grades 6 - 12. Pinnacle's academic programs are accredited as college prep by AdvancED/SACS. Pinnacle is an excellent alternative for students that are at-risk of failing or dropping out of school due to learning differences, illness, relocation, mental health or behavioral issues. Highly Qualified and State Certified teachers provide students with individualized learning program. Licensed mental health professionals are also onsite to provide behavioral health care services. Since 2006, Pinnacle has opened doors for thousands of students from across the country that did not fit into the mold of a traditional classroom. Pinnacle’s personalized approach to learning provides students with the ability to reach their educational goals at their pace. This flexibility allows students to earn credits or a high school diploma without distractions of the traditional classroom. Pinnacle’s Virtual School provides school systems with options to assist at-risk students that otherwise would fall through the cracks. All Pinnacle programs are Ad­vancED accredited. Students enrolled in Pinnacle’s Virtual School avoid the stigma of needing additional help in difficult subjects, yet can progress through lessons that come easily without waiting on fellow classmates. Did you know that 50% of youth in correctional facilities have disabilities? The Individuals with Disabilities Act (IDEA) is a law that makes available a free appropriate public education to eligible children with disabilities throughout the nation and ensures special education and related services to those children. Pinnacle provides a new path for incarcerated youth by providing AdvancED accredited education programs that allow incarcerated youth to re-enter society with a fighting chance - that is - be armed with a high school diploma when seeking a job. For more information, call our headquarters in Huntsville, AL (256) 518-9998 or 866-906-TEEN (8336); or simply complete and submit the "Contact Me" form on this page. Pinnacle provides outpatient counseling services to children and adults. Services include individual, group and family therapy. Pinnacle Behavioral Health professional mental health providers incorporate treatment and intervention techniques to increase the strengths and resources of each client and family served. All programs of Pinnacle Behavioral Health are accredited in Behavioral Health Care by The Joint Commission. To report concerns, please call The Joint Commission at 630-792-5800.